St. John's Lutheran Church, located on the corner of C.R. 32 and C.R. 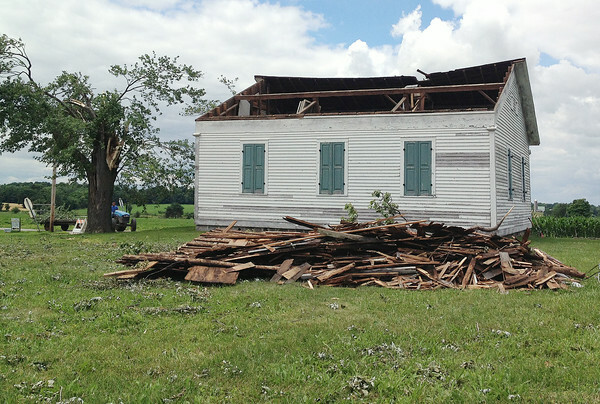 15 west of Goshen, was damaged during Tuesday's early morning storm. The east side of the roof was torn off and scattered across the cemetery and into a nearby cornfield.